Two new confirmed cases of mumps were reported Tuesday at the University of Pennsylvania. The Daily Pennsylvanian, Penn’s student-run newspaper, reported that the new cases on campus were confirmed by Chief Wellness Officer Benoit Dubé, bringing the total to three confirmed cases at the university. The new Penn cases follow a mumps outbreak at Temple University, which has affected about 140 students. There have also been confirmed cases at Drexel University, West Chester University and other Philadelphia-area schools. Penn students and staff first learned about the first case of mumps via a university email on March 27, which noted the infected student lived off campus, the DP reported. Reportedly, the three cases at Penn are neither related to each other nor the outbreak at Temple. Dubé said the three Penn cases are no longer contagious, but warned all students who will be participating in the school's crowd-heavy Spring Fling this weekend to “act with caution,” according to the DP. Mumps is a contagious viral infection that causes fever, headache, muscle aches, tiredness and loss of appetite, according to the Centers for Disease Control and Prevention. Swelling of the salivary glands, puffy cheeks and a tender and swollen jaw are some visible symptoms of the infection. 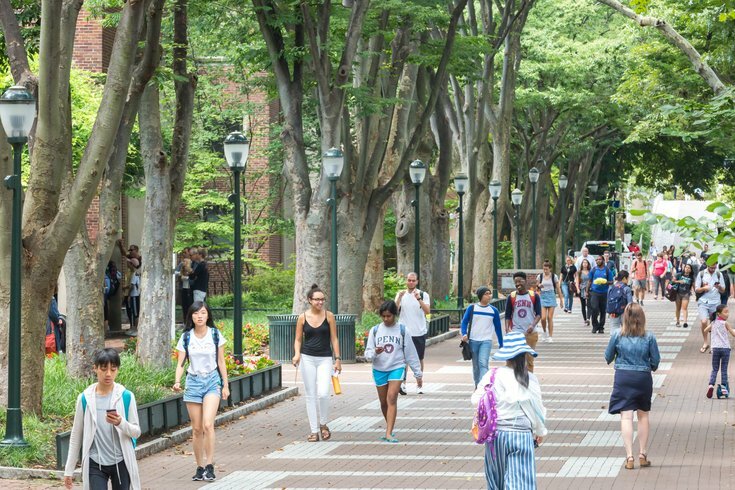 Penn's student health services suggest that individuals suspected to have mumps should stay at home and not attend classes, work, school, or social events for at least five days or until their diagnosis is confirmed.